When MRIs (brain scans) taken after a car accident in 2000 showed that Noelle N. might have multiple sclerosis (MS) she was shocked. “It came out of nowhere,” says the 62-year-old, who didn’t have any symptoms of MS or any family history. MS is a devastating and often disabling disease that affects the brain and spinal cord (central nervous system). For the next few years, Noelle was fine. Then she developed foot drop and fatigue, both common problems in people with MS. Foot drop makes it hard to walk because the toes drop down instead of pointing up when you lift your foot. Noelle started taking a disease-modifying drug to lessen her symptoms, decrease the number of flare-ups, and possibly slow worsening of her MS. She also got a device called the Bioness L300, which uses electrical stimulation to help lift her foot when she walks. By 2008, Noelle’s fatigue had become crushing and she had to stop working. As her MS continued to get worse, she felt hopeless. “I felt like there was nothing I could do, and that I was in a holding pattern until the next drug came down the line,” says Noelle. Many people with MS feel like Noelle did. “Sadly, treating doctors often do not give people with MS information about what they can do to help themselves and the potential benefit of this,” says Sam Gartland, MB ChB BSc (Hons) MRCP (UK) FRACGP, a general practitioner who cares for patients with MS at Berkeley Vale Medical Centre in Australia. While researching MS online, Noelle found something she could do to help herself: the Overcoming Multiple Sclerosis 7-Step Recovery Program (OMS 7-Step Recovery Program). Developed in Australia by Professor George Jelinek, MD, MBBS, after he was diagnosed with MS, this diet and lifestyle program integrated with conventional medicine is helping people with MS live longer, better and healthier lives. Professor Jelinek is a professor of emergency medicine and head of the Neuroepidemiology Unit at the University of Melbourne in Australia and founder of Overcoming Multiple Sclerosis. The OMS 7-Step Recovery Program is based on diet and supplements (omega-3s and vitamin D) and sunlight, exercise, stress management, and medications, if needed. 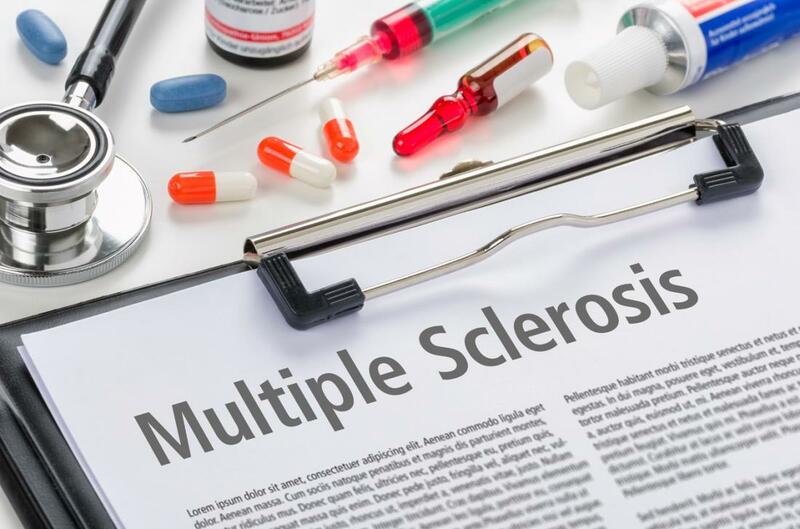 People with MS should partner with their doctors when following the OMS 7-Step Recovery Program, which is fully described on the Overcoming Multiple Sclerosis website. Before starting the OMS 7-Step Recovery Program, Noelle booked a trip to Australia to attend a five-day retreat with Professor Jelinek. “It was totally life-changing for me,” she says. “George looked me in the eyes and said, ‘you know you can get better.’ And I have.” A majority of patients who stay with the program improve their function and quality of life. Noelle’s been following the OMS 7-Step Recovery Program, in partnership with her neurologist, since 2012. “It made me feel better and increased my sense of wellbeing over this situation,” she says. While Noelle has more trouble walking than before, she considers herself “more disabled but healthier.” Noelle’s feelings may seem contradictory, but wellbeing is a key part of health. Like Noelle, people with MS usually hear or read that the disease is relentless and progressive, and out of their control. But about 75% of what happens after being diagnosed with MS is based on the person’s environment and lifestyle. I agree about the importance of integrating self-care or lifestyle medicine with conventional medicine. The 7-Step OMS Recovery Program enables providers to address with patients how to implement healthy behaviors within their specific home situations, neighborhoods and communities. This gives people with MS an opportunity to heal and improve health and well-being. Adopting most of the OMS7-Step Recovery Program lifestyle was easy for Noelle. “When I walked to the refrigerator, I would ask myself, ‘would you rather eat this or walk?’” she says. Early on, Noelle did cheat a few times but found that eating things like gelato or pizza landed her in bed. Three or four days a week, Noelle swims or works out on an elliptical machine at a gym. The other days she usually stretches and uses resistance bands or a balance board at home. To get enough Vitamin D and sunlight, Noelle swims in an outdoor pool, applying sunscreen only from the shoulders up. She also takes 15,000 IUs of Vitamin D daily and sunbathes in a bikini in her backyard for 15 minutes a few times a week during warm weather. Just getting to the gym is a victory. “I go and do what I can,” says Noelle. “Sometimes I am weak and end up doing six laps in the pool instead of 24, or three minutes on the elliptical instead of 17.” Swimming gives Noelle a sense of accomplishment, and working out on the elliptical machine helps her build strength in her legs. But meditating is really hard for Noelle. “With diet and exercise, I saw such benefits early that it was very motivational to stay the course. Meditation is more subtle. I don’t know why, but it’s hard to commit to those 30 minutes of quiet,” she says. Finding the right time, place and program for meditation has been a struggle for Noelle. She’s tried the Headspace app and many other meditation programs. Currently, Noelle is using the guided meditations on the OMS website, some of which are one and five minutes. Meditating for shorter periods of time throughout the day seems to work better for her. Adopting a new lifestyle is challenging but doable, says Professor Jelinek. “We are much more comfortable doing what we have always done than changing. But we can change our habits, and new habits get quite easy to maintain over time once the habits are settled.” Sometimes working with a health or wellness coach can assist in this journey. Initially, Noelle was resistant to taking a disease-modifying drug. “Now if I think it will help, I’ll take it,” says Noelle, who’s currently taking Tysabri. Professor Jelinek’s observation is that about 70% of people with MS who follow the OMS 7-Step Recovery Program “reasonably thoroughly” get better over time, with improved quality of life and, for many, fewer MS symptoms. In the studies done to date on the program, at least 50% of participants have documented that they continue to improve after a year and 25% continue to improve after 5 years. Research is ongoing to see if that number may be higher and to compare it to what happens without the program. Studies of the diet and lifestyle changes in the OMS 7-Step Recovery Program and Professor Jelinek’s work with thousands of people with MS show that quality of life starts to get better quickly. In the STOP MS study, where people improved their lifestyle habits and took their disease-modifying drugs, Professor Jelinek found improvements in quality of life of 12-19% after 1 year and 18-23% after 5 years in the participants who documented changes. The HOLISM (Health Outcomes and Lifestyle) study showed that people with MS who followed a lifestyle similar to the OMS 7-Step Recovery Program were healthier than those with other lifestyles. People who took disease-modifying drugs also had less disability and fewer relapses than those who didn’t take their medications. The Overcoming MS 7-Step Recovery Program shows that a lifestyle program integrated with conventional medicine is effective in reducing disease activity and disease worsening in people with MS. The OMS 7-Step Recovery Program gave Noelle a sense of control over her MS.
“Have hope and faith. Overcoming MS is possible,” says Professor Jelinek.